In my original quest for information about my Smith ancestors – starting from my grandfather William Smith of Blackhall – I was most interested in tracing back the male line to the origins of the Smith family in the small village of Melmerby. For much of its existence, Melmerby was in the county of Cumberland in north-west England; in 1974, the county was absorbed into the bigger county of Cumbria. 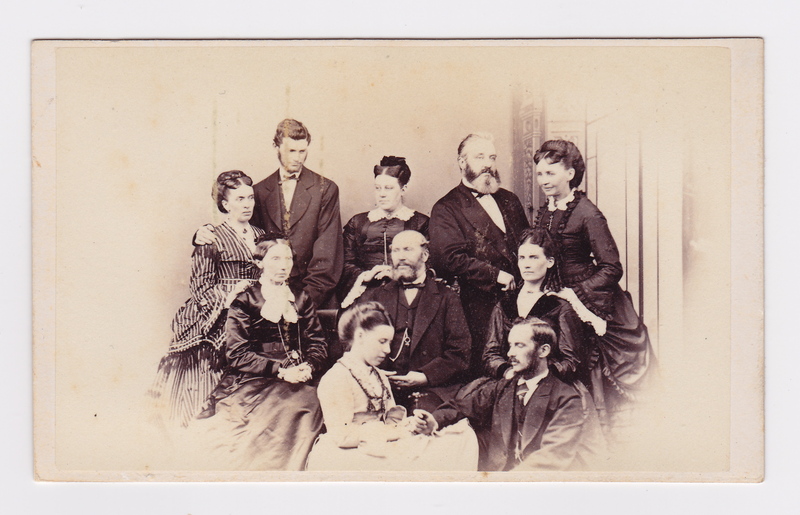 I have written numerous posts and pages on this blog about the Smith family line and do not expect to find out much more about them through traditional genealogical research. For example, in the case of two of my direct male ancestors in Melmerby – John Smith (1712-1795) and William Smith (1640-1720) – I cannot identify their wives other than by their forename. Maiden surnames were not considered important to record in parish marriage registers of the time. Maybe through DNA tests and genetic matching, I will be able to find out more about these unknown female ancestors… I would also be interested to learn more – if I could – about the younger sons and the daughters in each Smith family that I have explored. Recently I have spent time researching the 19th-century branches of the Smith family in Cumberland who are related to my Smiths in Ireland through cousin-ship. Records for this more recent century are much better, particularly with the establishment of the census system every ten years starting in 1841 but also with civil registration of births, marriages and deaths after 1837 and the publication of probate records for wills (which were becoming more common in the family). Much earlier on this blog, I wrote a brief post about the Melmerby Smiths after 1821 but they were not a major focus for me at that time and I did not know much about them. While it is very nice that the Smith families of Melmerby continued – with rare exceptions – to use the forenames familiar to them, this has often made it difficult to know which William Smith, John Smith or Thomas Smith is being documented. It is also a challenge when writing about them. Although Lancelot Smiths abound in the larger family tree, they were not – in the Melmerby line – the eldest sons. Common names for the Melmerby Smith daughters were Mary, Agnes and Hannah. My great-great-grandfather Lancelot Smith (1785-1871) was a younger son of John Smith of Melmerby and his wife Hannah Huddart of Gamblesby. Lancelot’s older brother William Smith (1781-1857) inherited the freehold farm property in Melmerby from his father while Lancelot had a small freehold property in Gamblesby as well as a small freehold property in Melmerby (inherited from his uncle Thomas). I imagine it was difficult for him to support his wife and family of eight children on the property he could farm. In the 1850s, this Lancelot Smith and most of his family, including two of his sons – Lancelot and Thomas – moved to Ireland to farm as tenants in County Tipperary. This might have been seen as a step down from being a yeoman farmer in Cumberland but I believe it represented a significant economic opportunity to manage much larger farms and, ultimately, to own them after the Irish Land Acts of the late 19th century were implemented. After William Smith died in Melmerby in 1857, his son John Smith (1815-1884) settled into the Melmerby property. He was a first cousin of my great-grandfather, Lancelot Smith of Corballis (Corballis was the name of the farm in County Dublin where he lived for many years from the early 1870s). John Smith died in 1884 and his heir to the Melmerby property was George Hardy Smith (1852-1928). George and his siblings were second cousins to my grandfather William Smith of Blackhall. Having now collected more information about the 19th-century Melmerby Smiths, I will be writing several posts about them soon. The first posts will be about William Smith of Melmerby (1781-1857) and his family of eleven children. 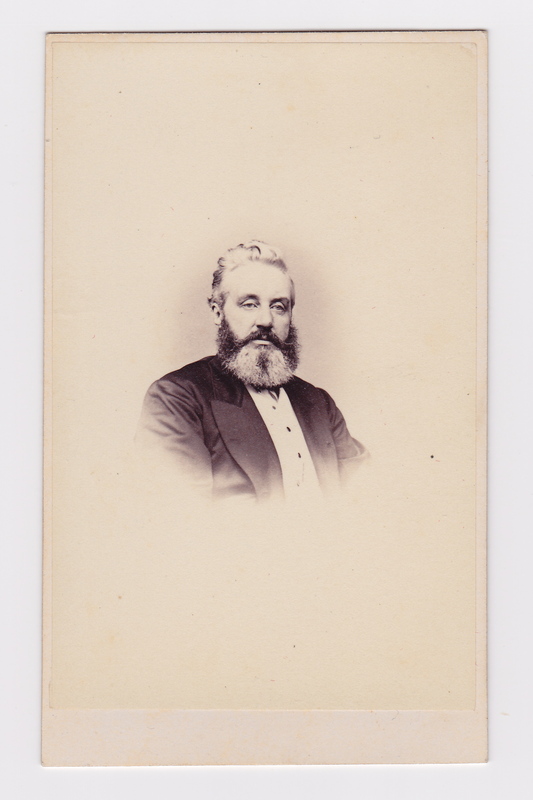 That will be followed by a few posts about his son John Smith (1815-1884) and his family, with some focus on John’s daughters – the Misses Smith of Penrith – as well as his younger sons John and Christopher. Related to these posts will be one about the Hardys of Park Head. I have several old photographs that are a bit of a mystery. They were taken in Penrith, Cumberland, in formal studio settings. The photographs have come to me via a cousin, who was given a photograph album belonging to a distant cousin in the Smith family. Most of the people in the album can be identified as Smiths or relations of Smiths. However, there is a set of photographs containing people whom I cannot identify. These are the “mystery photographs”. I hope by adding them to my blog that someone will have an idea of their identity. Judging by the clothes the people are wearing, the photographs were probably taken in the early to mid-1870s. If I choose the date of 1875 and then find the Melmerby Smiths who were adults in that year, I might get close to finding out who these people are. But I recognize this is only a guess. I would welcome any ideas you have about the people portrayed as well as when the pictures were taken. If you know anything about the photographer “T H S Melt”, that would be helpful as well. I could not find him in any on-line listing of 19th century photographers. This is the family group picture. There are also individual portraits of some of the people in this group. The arrangement of people in such formal portraits is usually significant. I think the man seated in the centre is the head of the family. The focus of the picture appears to be on the young woman seated at the front with a young man beside her. Was this photograph taken on the occasion of a betrothal? The woman standing behind the head of the family is a widow, based on the black dress and the small black head-dress she is wearing. The older woman seated on the left also seems to be a widow. Well, who are they? Here is my guess. The man seated in the centre is John Smith. The bearded man standing on the right bears some resemblance to the head of the family (and it is not just the whiskers); I think they could be brothers. John’s younger brother William Smith and his wife Elizabeth Smith (nee Harrison) lived in Gamblesby and they were both 50 years old in 1875. I think it is William and his wife who are standing together on the right of the picture. The young man standing at the back on the left has his arm around the shoulders of the older woman next to him; she is wearing a striped dress. I think this is George Hardy Smith and his mother Mary Smith (nee Hardy). The widow standing behind the head of the family could be John Smith’s sister Ann Dobson, who was married to Benjamin Dobson; he had died in 1866. I do not have any idea who is the older woman seated on the left. It is not John Smith’s mother because she died in 1868. Nor is it Mary Smith’s mother, Eleanor Hardy, who died in 1864. Possibly she is related to the young woman seated at the front? The couple at the front of the group is the biggest puzzle of all. Is the young man William Smith, John and May Smith’s eldest son? If so, is the young woman his fiancee? And what is her name? An alternative is that the young woman is a Smith but it is unlikely to be one of John Smith’s daughters; none of his three surviving daughters ever married. Another possibility: is the young woman the daughter of Ann Dobson? She had an older daughter Margaret who never married. There was a second daughter Mary but I have no information about her life. Below are individual portraits of four of the people in the group picture. I have no idea why only these few portraits were in the photograph album. It might have been expected there would be portraits of the two people at the front of the group but I do not have those. In any case, the following images help to show more clearly four of the people in the group photograph. When I was looking for on-line information about my 3X great-grandfather William Bayly Upton, I came across a few items about a William B. Upton, born around 1828 and living in Cashel. I wondered who he might be and if he was related to the Uptons I was researching. Recently I concluded that he was related but the question remained: who was he? I thought there were two possible candidates: William Upton, son of William Upton, apothecary, and brother of Eliza Upton (my great-grandmother); and William Bayly Upton, son of David Upton, and first cousin of Eliza. I don’t have good evidence of this but I believe that Eliza’s brother William died as a boy in 1849. That has left David Upton’s son as the most likely person. When David Upton died suddenly in 1846, he left his widow Mary nee Gilbert and three children in Cashel. I have found their eldest son was William Bayly Upton, probably born in early 1828. The second son was Matthew Gilbert Upton who was born in November 1829. The only daughter Frances (Fanny) was born around 1837. So, at the time of their father’s death, they were aged about 18, 16 and 9 respectively. At some time between 1846 and 1860, Mary Upton emigrated from Ireland to the United States with her daughter Fanny. Mary owned property in Cashel but was not living there in the 1850 Griffith’s Valuation records. So I think she had left Cashel by 1848 or 1849. Her son Matthew may have emigrated on his own in 1851. To date, I could not find any of them in the US Census for 1850. In the 1860 US census, Mary and Fanny were living in New York City while Matthew was living in San Francisco. Mary and Fanny do not appear to have prospered in New York; Mary died in Brooklyn in 1869 and Fanny died in New York City in 1876. Fanny was unmarried. Meantime in California, in 1860 Matthew was a widower with a young son, William Bayly Upton, aged 3. (The young boy was living with a family called Gorham, presumably because his father could not care for him on his own.) Matthew was an editor of the San Francisco ‘Bulletin” newspaper and continued in this occupation for many years. Around 1865 he married a second time and had two daughters, Frances and Elizabeth. In 1892, Matthew’s son William Bayly Upton also had a son, William Bayly Upton Jr., and he in turn had one son, William Bayly Upton III, born in 1929 and died unmarried in 1984. As far as I can tell, that is where the male line of Uptons from Cashel ended in the United States. Here is an abbreviated version of the Upton family tree showing the David Bayly Upton line and how it relates to Eliza Upton and the Smith family. On-line searches have not shown any trace of Matthew’s brother in the United States and I believe he stayed at home in Cashel. In the Upton family book written by W. H Upton in the 1890s, there is a cryptic comment about this particular William Bayly Upton that “his life was wrecked in early manhood”. What did this mean? See what you think from the story I have been able to piece together about this unfortunate man. The following descriptions of William B. Upton come mainly from the Irish Prison Registers we well as from Dublin Workhouse registers and a couple of newspaper items. Already you can see this is not going to have a happy ending. Nor does it have a happy beginning, in early 1860. Bear in mind that William Bayly Upton, this man’s grandfather, was still alive in 1860 and continued to live in Cashel until January 1863. William B. Upton also had three aunts and numerous cousins living in the town. His cousin Eliza Upton married Lancelot Smith in 1862 and she went to live on the farm at Rathcoun with the Smiths. They stayed at Rathcoun, very close to Cashel, until 1871 when they moved to the farm at Corballis in County Dublin. The first time that it is recorded that William Upton was sent to gaol (or jail if you prefer) was on February 23, 1860. He was charged with assault – the record does not say who he assaulted. He was committed to Clonmel Gaol by the Hon. J. M. Ffrench at the Cashel Petty Sessions with a sentence of bail or three months. The Clonmel Gaol Registry shows he was discharged on May 22, 1860 so obviously he did not have bail money. The registry also includes information about the person being imprisoned. Age: 32. Can he read and write: yes. Religion: Protestant. Height: 5′ 8.5″. Physical appearance: blue eyes, auburn hair, fresh complexion. On August 14, 1862, William B. Upton was charged with refusing to work in the Workhouse. This time in the Clonmel Gaol registry he was described as: aged 34; can read and write; Protestant; 5′ 9″ tall; blue eyes, fair hair, fresh complexion. He was committed to gaol by the Hon. J. M. Ffrench and sentenced to one month’s hard labour. The prisoner was discharged on September 10, 1862. Having apparently learned nothing from this experience, William B. Upton was charged on October 30, 1862, with four offences of refusing to work in the Poor House (the same institution as the Workhouse). The Clonmel Gaol Registry description this time was: aged 34; read and write; Protestant; 5′ 9″; hazel eyes, auburn hair, fresh complexion. He was sentenced by the Hon. J M. Ffrench to 14 days’ hard labour times four (in other words, to 56 days of hard labour); he was discharged on December 24, 1862. A pauper inmate of the workhouse named William Upton, was brought up for refusing to work on the farm for four consecutive days, and otherwise infringing the regulations of the house. Upton had frequently occupied a position in advance of the Cashel Magistrates, with a body guard around him. On the present occasion he retired, and will not appear in public until about Christmas. He is going for training at the county gymnasium. Leaving aside the contemptuous tone of this little item in the newspaper, it is worth noting the mention of the frequency of William Upton’s appearances before the magistrates in Cashel and the comment about a “body guard”. Does the latter imply that this man was prone to being violent? On May 7, 1863, William B. Upton was back again at the Cashel Petty Sessions court, this time charged with seven offences under the Poor Law. What those offences were is not stated in the Gaol Registry. His description: aged 35; read and write; Protestant; 5′ 8.5″; hazel eyes, auburn hair, fresh complexion. He was committed to gaol by I. M. Bushe, Esq. and Richard Phillips Esq. to one month’s hard labour times 7. He was discharged on November 18, 1863. Three and half years later, William B. Upton was back in court. On June 21, 1867, he was charged with using “threatening language, etc.”. No further details are given to show who he threatened or what the “etc.” represented. His description: aged 39; can read; Protestant; 5′ 8.5″; grey eyes, sandy hair, fresh complexion. He was sentenced by the Hon. J. M. Ffrench Esq. to bail of £10 and sureties in £5 each or six months. Hard labour was not mentioned this time. He was discharged on December 4, 1867, so again he could not raise the money for bail. William B. Upton charged a blind man named Denis Gooly with an assault at the workhouse on the 7th instant. It appears Gooly had been struck by some missile which was thrown, and he brandished an old floorcloth over his head, which struck Upton in the face, and he retaliated by giving Gooly a blow to the temple. Case dismissed. Further trouble ensued. On August 27, 1868, William B. Upton was again charged with assault and was sentenced to two months’ hard labour by the Hon. J. M. Ffrench at Cashel Petty Sessions. By now, William B. Upton was 40 years old. The Gaol Registry description also says: can read and write; Protestant, 5′ 9″; hazel eyes, auburn hair, fresh complexion. He was discharged on October 21, 1868. I have included the personal descriptions from the Clonmel Gaol Registers because it helps to confirm we have the same person each time. Although the first two events are about “William Upton” and the others are about “William B. Upton”, I think the descriptions of personal characteristics show it is the same person each time. The age matches the estimated birth date and the Protestant religious affiliation is uncommon in the Clonmel Gaol registers. The height measurements vary only slightly although the eye colour and hair colour seem to change a few times. The “fresh complexion” descriptor is not particularly meaningful since it seems from the registers that almost all prisoners had this. Not many Irish people are sallow (the other option). The last time that William B. Upton was in Clonmel gaol was in 1868. I assume he continued to live at the Cashel Workhouse as a pauper. William B. Upton died in 1874 in Cashel. His age in the civil registration records is given as 44 but he would have been 46. A very sad, poverty-stricken, violent and short life. Here was a man who must have had many opportunities to do well in life but was unable – for whatever reason – to take advantage of those opportunities. William B. Upton’s father David Bayly Upton was Actuary to the Government Savings Bank in Cashel and Clerk of the Quarter Sessions – both highly responsible positions – before his untimely death in 1846. His grandfather William Bayly Upton was a relatively wealthy man of considerable education and status in the town of Cashel. I wonder what he thought and felt about this grandson who was his namesake and could have been his heir. Did William B. Upton suffer from some form of mental illness that nowadays would have been identified and treated? It seems clear to me that the Upton family had given up trying to help him so he descended to being a pauper in the local workhouse and being sent to prison periodically for insubordinate and violent behaviour. I also wonder when William B. Upton became destitute. We know he was in the Cashel Workhouse in 1860. There is a record in the Dublin Workhouses registers of a William Upton from Tipperary aged 28 in 1856 who stayed for a few months in the North Dublin Workhouse. Had he already been disowned by his family at that date? What had he done to have earned that treatment? When did he have to seek help under the Poor Law that would require him to live and work in the Cashel Workhouse? These are questions that have no answers and we are unlikely to get any from the records of his time. I became interested in Margaret Joyce and her family initially because of their link to the Smiths via the Uptons of Cashel, County Tipperary. The Joyce family is linked to the Uptons in this way: The second daughter of William Bayly Upton and his wife Margaret McClure was named Rebecca, who was born in or around 1809. She was the second youngest in the family, I believe. In 1830, Rebecca Upton was married to Terence McGrath (also written as Magrath). They had seven children, including two daughters: Rebecca and Margaret. These children were first cousins of Eliza Upton who married Lancelot Smith. Rebecca Magrath died in December 1875 and probate for her will was granted in October 1877 to her sole legatee: her daughter Margaret – by then called “Margaret Joyce, wife of John Joyce”. From this I assume that Margaret’s sister Rebecca had already died and had left no children. Usually in those days, probate was granted in much less time than 22 months so there may have been some question about who was to inherit. Possibly it was related to Margaret’s very recent marriage and consequent change of name. Margaret Joyce was one of William Bayly Upton’s grandchildren and, therefore, one of Eliza (Upton) Smith’s many cousins. I have no information so far on what happened to the ownership of the houses and other real property that Margaret inherited in 1877. Since she probably did not live in Cashel after her marriage, I wonder if the property was simply sold off. Collecting rents from afar would have been difficult although she could have appointed an agent. Given the date gap between the first two children, it is probable there was at least one other child born in the family but I have no firm information on their names or whether they died young. It is possible there was a daughter Ephemie Elizabeth, born in Limerick in 1879. The Joyce children were second cousins of my grandfather William Smith of Blackhall. The following chart is a very abbreviated version of the family showing the connections between the Joyce family, William Bayly Upton and the Smiths. The name of the eldest son Theobald Upton Joyce is interesting in two ways. The name Theobald is unusual and makes it more likely one can find him in later records (more on that in a while). Also, the inclusion of the name Upton as his middle name is helpful in ensuring I have the right family. Joyce is a common surname, especially in western Ireland. The youngest son Walter also had an interesting name. Other records show his full name as Walter Evans Penefather Joyce. The Joyce family can be found in Wexford in the 1901 Irish census which shows the parents with their five younger children. Irish censuses are always useful when it comes to information about religious affiliations. John Evans Joyce and his children were listed as Church of Ireland (i.e., Anglican) whereas Margaret Affra Joyce was Methodist. I could not find the eldest son Theobald in the Irish census in 1901 (an explanation for this emerged later). None of the Joyce family is listed in the 1911 Irish census. In looking elsewhere for Theobald Upton Joyce, I was interested to find him in the 1911 English census, living in Liverpool with his mother Margaret, a widow, and his two sisters: Emily and Aphra. Therefore, it seems that Margaret’s husband John Evans Joyce died between the two census years. I have not been able to find a death date or death place for him in Ireland or England. In the 1911 English census, Theobald’s occupation is given as a Pensioner, South African Constabulary. So that suggests he was probably in South Africa in 1901. In another document I found references to the fact that Theobald was “invalided from the South African Police at the end of the Boer War” and, in 1915, was “serving on the staff of the Royal Naval Ordnance, Portsmouth”. Theobald served in the Devon Regiment from November 1914 until December 1916. From at least 1911, Theobald’s three younger brothers were serving in various capacities in the Royal Marines. His brother Charles served in the Royal Marine Artillery and his brother Walter fought in the Dardanelles with the Portsmouth Battalion Royal Marine Brigade during the First World War. Both brothers survived the war. Theobald’s third brother John Ulick Joyce was less fortunate. He was a corporal in the Royal Marine Light Infantry and was killed in the devastating explosion on board HMS “Bulwark” at Sheerness in December 1914 that killed hundreds of men. He was 29 years old and had been married for only two years to Josephine Corish in County Wexford. Their son Raymond U. Joyce was born in Hampshire in late 1914, maybe only a couple of weeks or months before John was killed. Looking for information on the two Joyce sisters has been much more difficult. I believe that Affra Margaret Joyce died in Poplar, London in 1913 but I do not have any information on her older sister Emily May (Mary) Joyce after 1911. It is possible she married but, since I don’t have her married name, I cannot search for information on her later life. From other searches, I have concluded that the three surviving Joyce brothers had close links with the British Royal Navy and Theobald in particular continued to be employed in some capacity by the Royal Navy in the Portsmouth area for many years. According to English electoral registers, between 1915 and 1926 Theobald lived in Gosport, Hampshire, with his mother Margaret and – at various dates – with his brothers Charles and Walter. I lost track of him after 1926 until 1931, when he appears again on the electoral register but this time living in Macclesfield, Cheshire, with his mother Margaret. In what seems like a major life change, Theobald was married in 1935 to Florence E. Day in Romford, Essex. I can only assume that his work with the Royal Navy had required him to move to that part of England although by then he was about 56 years old. In 1936, Theobald’s mother Margaret Joyce died in Romford aged 86. In the 1939 Register, Theobald and Florence were living in Ilford, Essex. By this time Theobald was a retired Royal Naval Ordnance Clerk. Theobald died in Ilford in early 1960. His age of death is given as 79 although I think he was actually 81. Theobald’s brother Walter E. P. Joyce died in 1951 in Gosport, Hampshire, at the age of 62. I have no other details of his life after the First World War. An interesting family, all born in Ireland but living in England from the early 1900s. Their move to England happened long before the 1917 Easter Rising and all of the chaos that followed up to and beyond the establishment of the Irish Free State in 1922 and the civil war. I wonder if they kept in contact with any of their Irish relatives and if Margaret Joyce continued to own any property in Cashel. Finding a will – even if it is a transcription – is a wonderful thing in Irish genealogy research. So many original wills and similar documents were lost in the fire at the Four Courts in Dublin during the Civil War in 1922. Recently I found the transcription of the November 1861 will of William Bayly Upton, my 3X great-grandfather. I knew he had died on the 13th of January 1863 but had no idea what happened to his property and other possessions after that. Now I know something about that. The transcription is part of a collection of wills that were registered in the District Registry for Waterford, which covered the counties of Waterford, Wexford and Tipperary. The volumes of transcriptions were kept in Waterford and are now being digitized and made available on-line by the subscription service Find My Past. From looking at the lists of properties in Griffith’s Valuation published in 1850, I knew that William Bayly Upton lived in Cashel and had significant property in the town including houses, gardens and vacant lots on several streets and lanes branching off Main Street in the centre of the town. I was curious to know what he decided should be done with that after he died. It was usual in most families for the sons, particularly the eldest son, to inherit their father’s property. But, as I have already explained in other posts, all five of William Bayly Upton’s sons died before he did. Two of his sons, William and David, had children. But, as far as I know, William’s two sons died as children. David had two sons; the younger one, Matthew Gilbert Upton, emigrated with his mother and sister Fanny to the United States after his father died in 1846. I think Matthew’s older brother William stayed in Tipperary and was not reliable (I will write about him on another occasion). William Bayly Upton’s youngest son, Bayly, died in 1852 and I believe he was unmarried. So William Bayly Upton had no Upton grandsons in Cashel that he could trust with his estate. He did have grandsons from his daughters’ families but they were not favoured in the first instance. 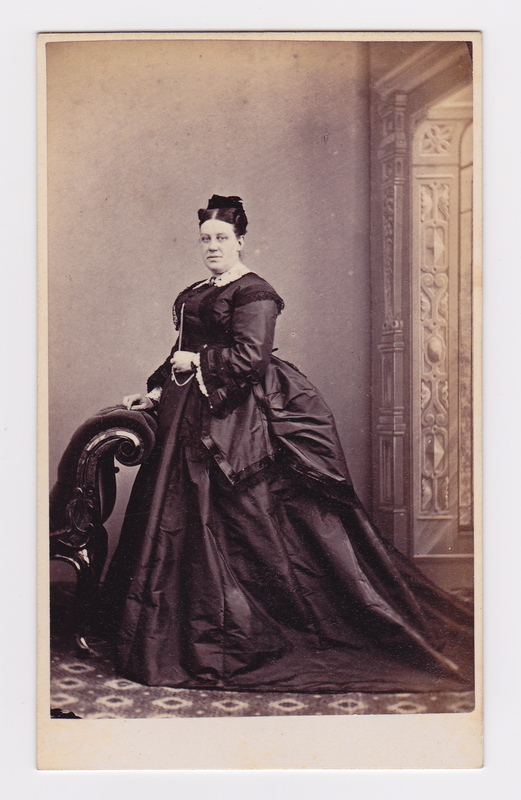 He also had a granddaughter Eliza Upton (my great-grandmother), who was living in Cashel in 1861. She was the daughter of William Upton. She is not mentioned in the will. Eliza married Lancelot Smith in June 1862 so maybe her grandfather thought she would be provided for through that marriage. Interestingly enough, he decided to bequeath his real property and residual assets to two of his daughters – although he had three daughters (Prudence, Rebecca and Margaret). What was the reasoning behind this? I think Margaret was omitted because she was no longer living in Cashel whereas the other two were. Margaret, who married Thomas Ryall, died in Dublin in 1866. This is quite a complicated description that is hard to follow without a map. So here are a couple of maps to give you an idea of where these properties were. First is a modern map showing the centre of Cashel with Main Street going in a diagonal line. The Rock of Cashel, with its ancient church buildings is to the north of Main Street beside Rock Lane. The streets and lanes where William Bayly Upton had property were: Main Street, Friar Street (also written as Friar’s, Fryar, or Friary Street), Chapel Lane (now called Dominic Street), Lester’s Lane (not visible on this map), and Green House Lane (also not visible). The second map is a closer look at the centre of the town at about 1900. It shows more of the lanes as well as the streets. Lester’s Lane is identified as Lyster’s Lane, to the left of Chapel Lane. Green House Lane is not identified in this map either but may be what is called Quirk’s Lane, which leads into Main Street on the south side of that street. It seems to me that Rebecca got the bulk of the property from her father’s will. She was also named as the residuary legatee for any money that remained after other assets (including his books) were sold and his debts were paid. The will also describes certain yearly rents that each daughter would have to pay to those who were the ultimate owners of specific pieces of property they would inherit. Having stated which property was to go to Prudence and which to Rebecca, their father’s will then goes on to bind them as to who would inherit the property when they died. So, in the case of Prudence, her daughter Ellen Charters was to be the heir to her mother’s real property (assuming she had not sold it before then). Prudence Charters died in 1864, only about a year after she inherited the property from her father. 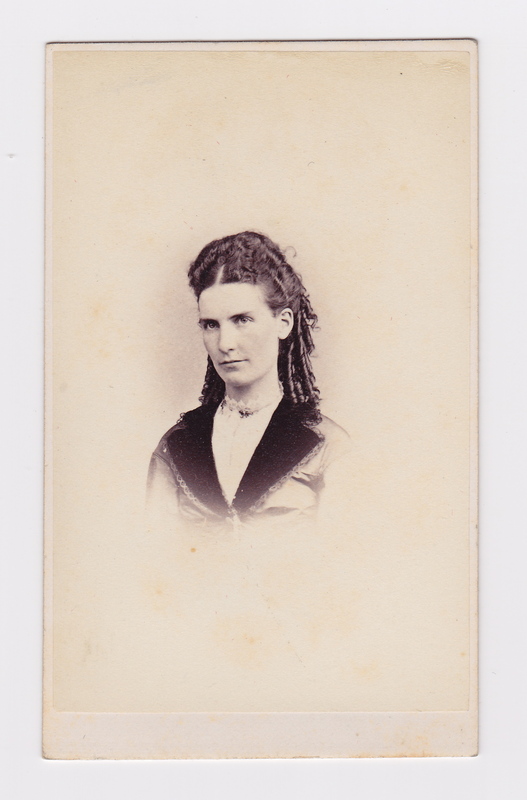 I have no information on the life of Ellen Charters and do not know if she married. I did find an Ellen Charters in the 1911 Irish census living in Kilshane townland, which is not far from Cashel. She was unmarried, aged 72, and a member of the Church of Ireland. I have not been able to find her in the 1901 census; that might help to confirm I have the right Ellen Charters. The will further specifies that if Ellen died without any legitimate children, the property would then go to her cousin William Bayly Magrath, one of Rebecca’s children. Rebecca Magrath was also tied as to whom she could bequeath the real property she inherited from her father. The will specifies that the property would then go to Rebecca’s two daughters Margaret and Rebecca “share and share alike” (in other words, split equally). Rebecca Magrath died in 1875 and probate for her will was granted in 1877 to her daughter Margaret who was recently married to John Evans Joyce. Margaret’s sister Rebecca must have died before 1877 because Margaret was the sole legatee. Going back again to the original will, William Bayly Upton specifies that if his granddaughters Margaret and Rebecca Magrath died without legitimate issue then the property was to be shared equally between their brothers Terry and James Magrath. This provision would not have been activated because Margaret (Magrath) Joyce had several children. I will write about the Joyce family in another post later on. Probate on the will of William Bayly Upton was granted to Rebecca Magrath, widow, on the 7th of February 1863. So, was it Bayley or Bayly? From the beginning of my family history explorations into the Upton family (who are linked to me through my great-grandmother Eliza Upton), I have been struggling with the name of Eliza’s grandfather. His name appears in various documents, directories, newspapers and so on in various forms: Wm. Upton, W.B. Upton, William Upton, William B. Upton, William Bailey Upton, William Bayley Upton, Wm. Bayly Upton and William Bayly Upton. When I began this blog in 2012, I was under the impression his name was William Bayley Upton and I continued to use that form until recently. I was particularly influenced in this line of thought by a hand-written family tree chart of the Uptons that showed his name in that way. The chart also showed his fourth son as David Bayley Upton so it seemed clear enough. However, I now need to change how I have identified these two men and others because I have recently found on-line a transcription of the will of “William Bayly Upton”, signed in 1861. The will refers to property (land and buildings) that he owned in Cashel and bequeathed to two of his children (more of the details in a later post). So, from now on, I will refer to my 3X great-grandfather as William Bayly Upton. Other posts that mention him are being amended to reflect this correction. Every now and again, in my searches, I come across another fragment of information about the Uptons who were the children of William Bayly Upton and his wife Margaret McClure. The family lived in Cashel, County Tipperary. The hand-written chart that I inherited turns out to be not very accurate regarding the birth order of the children. The birth years I estimated for them, therefore, require periodic amendments. I have found information on two of the sons in the records of Dublin University (usually known as Trinity College). Christopher Upton entered Dublin University at the age of 14 on November 2, 1813. He graduated with a B.A. in spring 1819. Later, his younger brother David entered the university aged 19 on November 2, 1822. He does not appear to have graduated. This information would suggest that Christopher was born in 1898 and his brother David in 1802. Neither Samuel nor William attended Dublin University although I believe that William attended lectures and took examinations at the Apothecaries’ Hall of Ireland in Merrion Square, Dublin in order to qualify as an apothecary. Sadly, the sons in this family had very short lives. According to the W.H. Upton book on the Upton family, both Christopher and Samuel died as solders between 1820 and 1822 in Peru. William died aged 35 in 1836. David died in 1846 aged about 43. And Bayly died in 1852; he would have been about 45 years old. The daughters survived longer although none of them was older than 70. Their parents actually had longer lives; William Bayly Upton was 86 and his wife Margaret was 74. Below is the current version of the family tree chart I am maintaining.